Take measurements while wearing the undergarments that will be worn with this dress or gown (and nothing else).Consult the Sizeguide to determine which size you should purchase. BUST: Measure around the fullest part of the bust, keeping your elbows tucked down toward your sides.WAIST: measure across smallest point. Bend to one side to find the natural crease of your waist. HIP: Stand with your feet together, measure around fullest part of your hips and rear. The 60s Mod Dress black from Heartbreaker Fashion. This dress is irresistible. Just look at it. You can't say "no" can you? As soon as you get it on your body, YOU will be irresistible. Trust us. It's no wonder this is Heartbreakers #1 best selling dress since 2005. 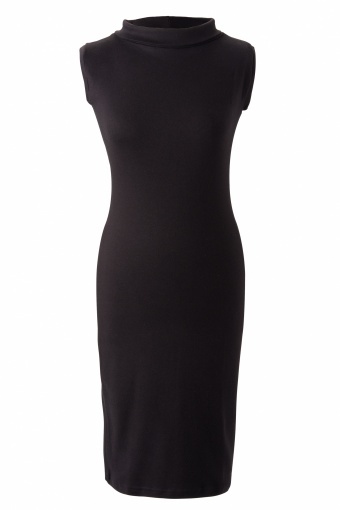 This wiggle dress is simple, yet sophisticated. The material is very forgiving - not too clingy and hugs in all the right places. 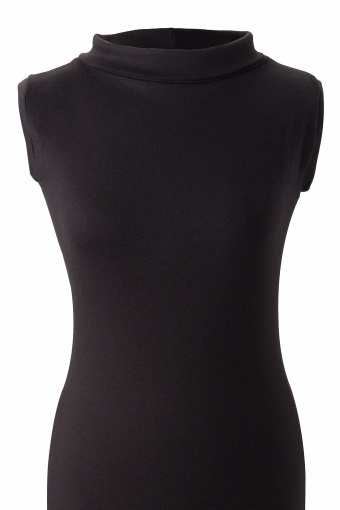 Made of supersoft 100% cotton knit fabric. Heerlijk jurkje, kleed super af. Komt bij mij echter niet over de knie, beetje jammer. Maar nog steeds erg blij met deze aanschaf!